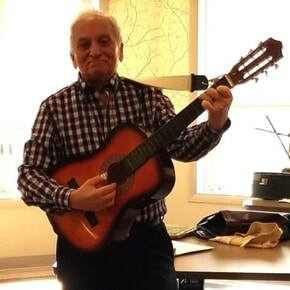 ​Joe is a self taught musician (singer/guitarist) who's been popular in the area for over 40 years. 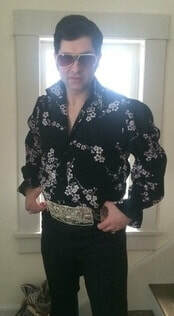 His venues include Chenango Memorial Hospital, NBT Bank, the NYS Vet's Home and private parties. Joe and Barbara (accompanying on vocals and piano) invite audience participation and Joe is happy to honor requests, as possible. His warm personal style is also very appealing to children, with whom he readily connects. ​...is a group of friends who share a common love of traditional Irish dance music, slow airs and an occasional song or story. The group is in its eleventh year of playing together since beginning in late summer of 2007, meeting continuously for a casual session several times a month and playing occasional gigs around Delaware, Otsego and Chenango Counties. Appearing are Jean Withrow on concertina, Kathy Shimberg on fiddle and Jim Haggerty on flute and whistle. We especially enjoy playing informally for community events such as this Streetfest, and welcome spontaneous dancing by listeners and passers-by ! The O'Dewey jazz duo is a jazz duo based in Sydney, New York. The blend of Joseph doing his piano artistry and Molly O'Hara's saxophonic finesse create inviting sound for the listening ear. When the two high school schoolers aren't playing in their respective high school jazz ensembles or together in the Hartwick college jazz band, they're playing gigs in the surrounding community, embellishing the familiar sounds of jazz with a modern twist. Available to book gigs through July 2018. The duet looks forward to enhancing your next social gathering or community event. Composed of two brothers, Smoketown presents their own take on Irish, folk and American roots music (and whatever else might sound like a good idea at the time). ​With O'Connor, Carey, Riley and Shea ancestry, brothers Dennis and Jim Thompson (and occasional guests) form this group. ​Dennis has been singing and playing guitar for many years at various sessions, festivals, and pubs both in Ireland and the US. Jim has been playing and teaching drums and percussion since he was a teen (he really is old now, to that's a lot of years). He has played everything from folk to rock and jazz, and has been playing bodhran in local Irish Trad sessions since 2004. The brother's lives and music have been deeply influenced by their mother Johanna O'Connor who immigrated from County Kerry in 1946. She was the backbone of their family and the wellspring of their music. ​So if its songs and 'chunes from Americay or lands across the sea that you're wantin', then spend some time with SMOKETOWN ! ​... is a Sidney-based band playing original, story-driven music. We draw from many genres and weave them into an off-kilter style we call RAG-ROCK. Sometimes lighthearted and jazzy, sometimes hard-driving and bluesy, we always have fun and hope you enjoy yourselves as much as we do ! ​Best friends since Elementary School, now 16 and juniors at Oneonta High School, Gabe and Liam started playing music together 3 years ago and are founding members of the classic rock group "Uncle John & the Turtle". They have expanded their repertoire to include classic folk, blues and original compositions. ​Joe embodies the Olde World Organ Grinders and brings back the nostalgia of days gone by to the delight of children and adults alike!